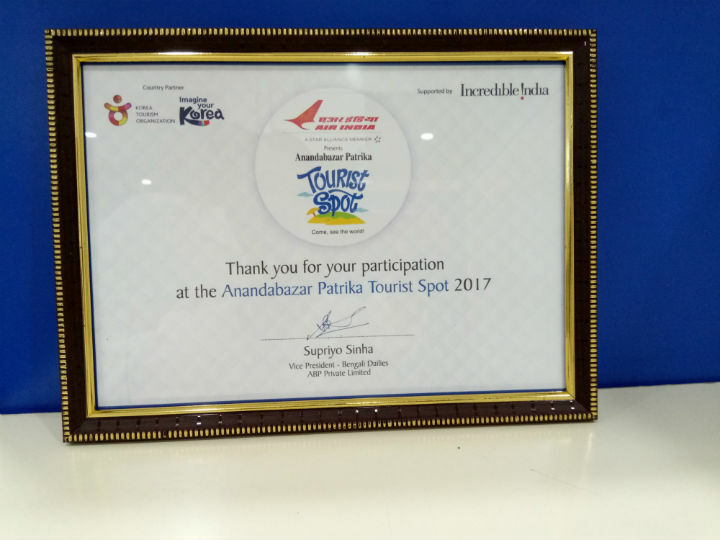 Andhra Pradesh Tourism received “Participation Certificate" from Vice Presdient Bengali Dialies, for participating in the Anandabazar Patrika Tourist Spot 2017. © 2017 All Rights Reserved. Site created by - Sudheer Abv - Andhra Pradesh Tourism Authority.